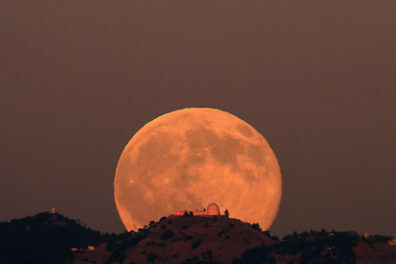 ‘Strawberry moon’ will greet sky watchers across the Pacific Northwest Wednesday night. 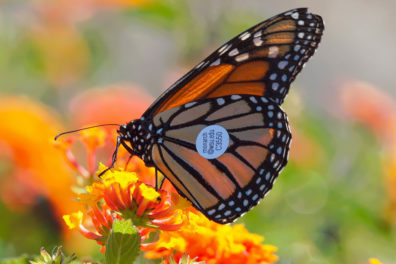 After five years and nearly 15,000 tagged butterflies, scientists now have proof that Monarch butterflies migrate from the Pacific Northwest to California. Dr. Universe: Why do lizards lose their tails? Our planet is home to all kinds of lizards. Lizards hatch from eggs, have a backbone, scales, four legs and a tail, which they sometimes lose and grow back. 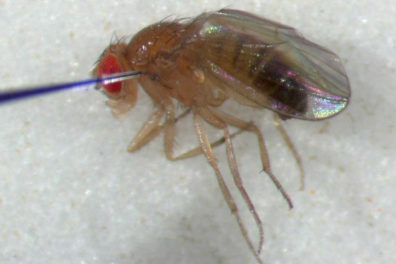 WSU researchers have seen how both humans and fruit flies deploy a protein that plays a critical role in their immune responses to invading bacteria. Dr. Universe: How do bees make honey? Brandon Hopkins, a WSU honey bee researcher, tells how bees around the world are turning nectar from flowers into sweet, golden honey. A WSU researcher has received a U.S. Department of Defense grant to develop a more convenient, less expensive and less painful way to treat serious eye diseases. Dr. Universe: Why do stink bugs stink? Dr. Universe reveals what the big stink is with insights from Elizabeth Beers, a researcher and entomologist with the WSU Tree Fruit Research & Extension Center. Joy Erlenbach’s research has her camping in the Alaska wilderness, surrounded by grizzly bears, for a third summer. Researchers at Washington State University and the University of Idaho have found a new way to estimate how fast magma is recharging beneath the Yellowstone supervolcano. Dr. Universe: Why do puffer fish puff up? Some puffer fish can inflate to the size of a balloon or a beach ball. Wes Dowd in WSU’s School of Biological Sciences, has found several reasons for this unusual ability. WSU researchers for the first time have used 3D printing to create multimaterial structures in one step. 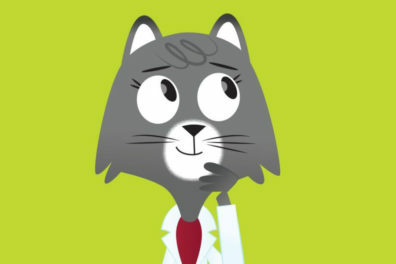 Dr. Universe: Why do dogs have wet noses? WSU veterinarian Katrina Mealey explains how a dog’s wet nose affects temperature control and its sense of smell. Identifying cancer and other health biomarkers in real-time is the aim of a software development project. Former professor and long-time WSU Tri-Cities donor Ronald Kathren and his wife, Susan Kathren, have donated a huge collection of radiological books to WSU Tri-Cities. The James and Marilyn Oliver Hyde estate has gifted $1.4 million to support students in Department of Entomology. Washington State University scientists are getting two new laboratories in outer space. Two WSU scientists, working in their spare time and without funding, built an electron microscope in the 1930s to help usher in the era of atomic-level imaging. Two WSU assistant professors land prestigious Faculty Early Career Development Program awards.